THE SKINNY: These little packets -- and I mean little -- come with big claims: Prevent ingrown hair, deters bumps and blemishes, decrease hair density and moisturize. The Slow It body wash and lotion from European Wax Center smelled fantastic and light. But that's about as much analysis as I can offer from the tiny samples. They were just big enough to use and only claim to work with prolonged use. This seems like a great concept and I'd love to hear from you in the comments if you like (or dislike) these products. 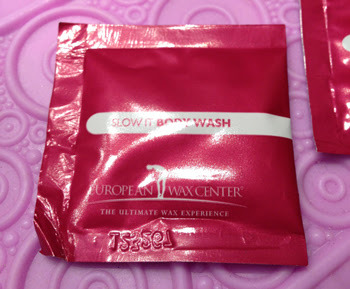 They are only available at European Wax Centers right now and there are none in my area. KEEP OR TOSS: Keep. The work fine and smell nice; I just can't vouch for the results. 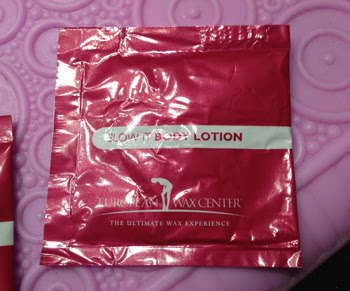 CHECK IT OUT: See the whole line of body products from European Wax Center and find them for sale at retail locations.